I was on a hiatus last week due to my assignment dues and thesis proposal presentation. It was quite a week. 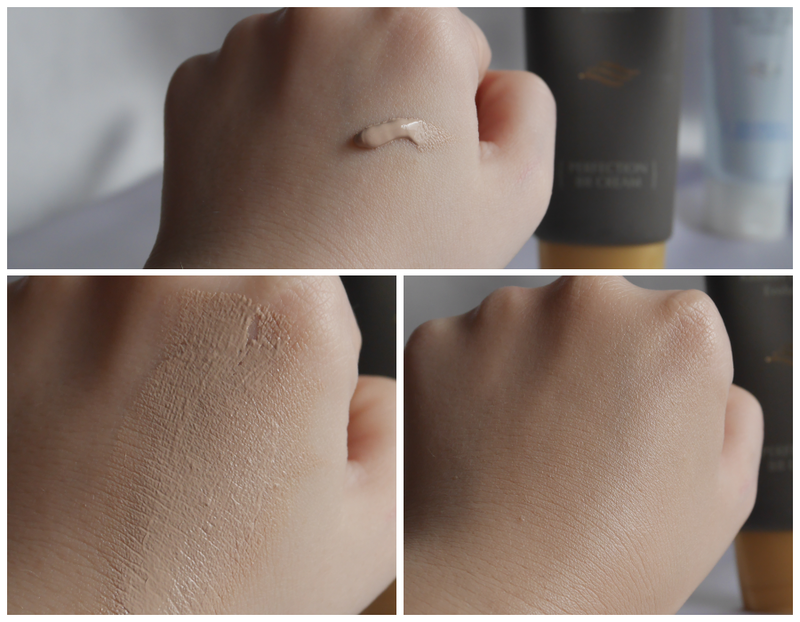 Though, I'm back with a one brand hits and misses post, this time reviewing the Sorabee Balancing Line skin care and the Sorabee Perfecting BB Cream. I've been using most of these products for a good month or more now and here's what I think about them. A brief of the Sorabee Balancing Line skincare, it aims to rebalance sebum control, smooth and even out skin texture, and provide a day-long shine-free complexion. I believe all of the products in this line have sea star collagen ingredient in it and they say it's suitable for people with acne skin, huge visible pores, oily and combination skin type. I have dry skin, so let's see how this works out. I'm usually a bit weary about products that are inspired by the sea because the products are commonly gel in texture that leaves me feeling uncomfortable, itchy and sometimes even cause my skin's rashes to reappear, for example, I can't use Biotherm because of the ingredients. It's really unfortunate because I really wanted to like it due to Leighton Meester being the ambassador of the brand. Oh well, this really just proves that skincare is a really personal thing. Let's start with my ultimate favourite, Sorabee Balancing SS Mask Sheet (20g x 10 packs, RM100.70). It has collagen properties in it as well as providing an intensive moisturising and soothing care to the skin. It looks like a regular cotton sheet mask with heaps of glorious liquid soaking the mask that's to be transferred to your skin. It does sting a little when first apply on, the stinging goes off after a few minutes which I take it as pretty normal for my skin type. The magic with this mask is that it doesn't seem to dry off. I left it on for 30 minutes, it's still damp. Left it on for 45 minutes and it's still quite wet. It's really interesting. After taking them off, I will usually wipe the leftover "juice" all over my body. My face feels amazing, thoroughly moisturised. Sleeping after doing this mask feels great, waking up from the night before feels fantastic. It is so good that I usually go straight to only applying a moisturiser after masking just to lock all the goodness in. This is a yes from me! The Sorabee Balancing (30ml, RM121.90) is one of those product that I've tried once and chuck it aside. Before I go all out on why I'm not a big fan of this, let's see what it claims. It says to be suitable for dry skin and will help to reduces pores as well as enhances skin metabolism. It comes in a beautiful glass bottle with a decent dropper. Still, I think it's because I was trying out an essence that was working really well for me that pretty much made it impossible for me to convert to this. It just didn't do much for me, it has a really hydrating scent that's quite delightful as all of the other products in this series, it just didn't do anything for me. Though, if you are new to the whole essence routine and looking for something that can possibly help you with your skin maintenance, this could be good for you. It's just a miss for me. The Sorabee Aqua Cream (70g, RM106) is super popular due to the nature of the product, the cream literally turns into water droplets before getting absorbed into the skin. I have to say I was quite sceptical because I thought it wasn't going to be moisturising enough for me but I tried it over the counter personally to decide if I want to review this product and I was quite impressed. It was actually really moisturising for a cream turn water product. Nothing fantastic about the packaging, just a regular tube. This product do really hydrates but for my dry skin, I have to apply quite generously to satisfy my skin. It claims that it also works as a spot serum that helps acne skin with anti-inflammatory and reduce visible acne scars but I can't vouch for that though, this moisturiser do have some kind of soothing properties that might help to calm the volcanic action on the skin. I would't say that this is the best moisturiser that I have used but it's good enough for me to make it into my should-try list. So, apparently this Sorabee Perfecting BB Cream (150g, RM90.10) also features collagen extracts from starfish to rejuvenate and provide the elasticity your skin needs. 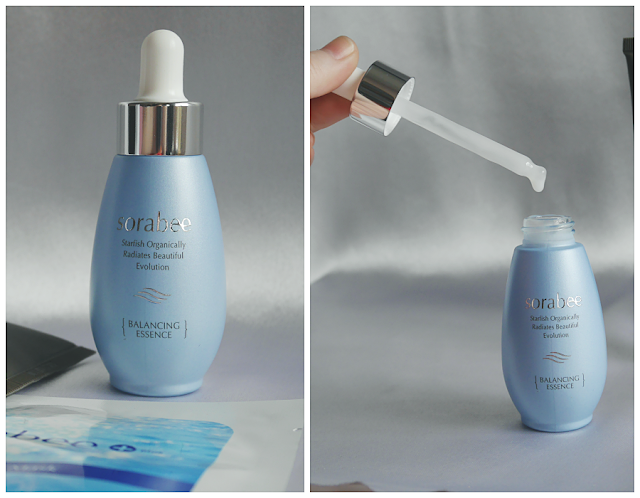 It's also enriched with deep sea water and ocean plankton extracts to keep skin firm and moisturised - see what I mean, so much ocean stuff, I scared. False alarm though, to my surprise, it wasn't really too bad. It's moisturising and covers pretty well for a BB cream. It also gives a brightening effect that's really helpful during those super dull face days. It's really thick in consistency, which I do like it but I have to really prep my skin properly before I use this. Check out more products and pricing on KBeautyZone website or updates on Sorabee Malaysia Facebook page. The Sorabee Aqua Cream looks interesting!